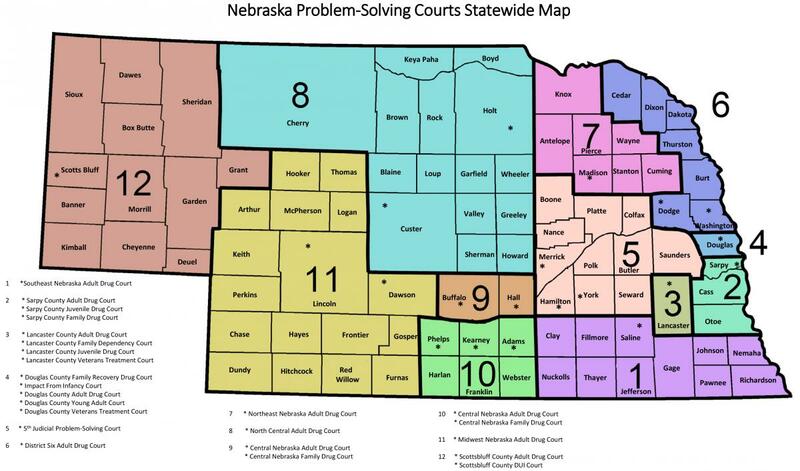 For over 30 years the Supreme Court has traveled annually to each of Nebraska’s law schools for the purpose of making the Court’s business accessible to students on their campuses. Annual visits are made to the University of Nebraska College of Law and Creighton University School of Law. Following the argument sessions, justices spend time talking to students about the appellate process and career opportunities as lawyers. Cases are selected to demonstrate the variety of legal arguments that face the court system on a regular basis. Students are furnished expanded case descriptions, case briefs, and a variety of informational resources regarding appellate and trial courts. Following the Creighton visit the court will hold an afternoon argument session at Boys Town High School.